City in Ehor Local Government Area of Edo State Nigeria. She was born in Lagos and grew up in Ajegunle. She had her Secondary School Education at First Foundation College, Ajegunle where she obtained her West Africa School Certificate. She proceeded to obtain a degree in Mass communication from the University of Lagos , and a Business Administration Certificate from Yaba College Of Technology. 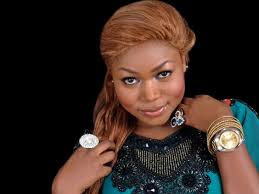 Ruth Kadiri shot into limelight after performing in her first Nollywood movie Boys Cot. It is worthy to note that since then she has over fifty movies to her credit. As a screenwriter she has written, co-written and produced several movies some of which include: Matters Arising, Heart of a Fighter, Ladies Men, Sincerity, First Class, Over the Edge. As a way of giving back to the society, in 2011, she sponsored the Education of five students at her alma mater, First Foundation College, Ajegunle. It is also interesting to note that she is the recipient of several Awards and nominations; she won the Nigerian Entertainment Award for Actress Of The Year and was also nominated at Golden Icon Academy Awards and Best Of Nollywood Awards as ‘Best Female Viewers’ Choice’ and ‘Best Kiss In A Movie’ in 2015. Ruth Kadiri is the founder of the ”Ruth Kadiri Kids” foundation, that helps to empower less privileged kids all over the country.